When we start our Opinion Writing unit, we always start with a very basic activity. We ask students to pick what they prefer out of two everyday things (i.e. Goldfish or chips, pencil or pen, glue stick or glue bottle, etc). This way every student can relate to what you are asking them to do and they can easily determine their opinion AND give a "because." We use our Prove Yourself pack for this; which is FULL of easy to answer opinion prompts that any student can answer. There are many choices to use and our kiddos never get tired of this activity. We use it during our Opinion Writing unit, but then the rest of the year as well (for morning work, quick finisher work, etc). or a FREE Sample of the Prove Yourself pack HERE. "I prefer writing a story because you can write whatever you want." "Hearts are best because they are pretty and they mean love." 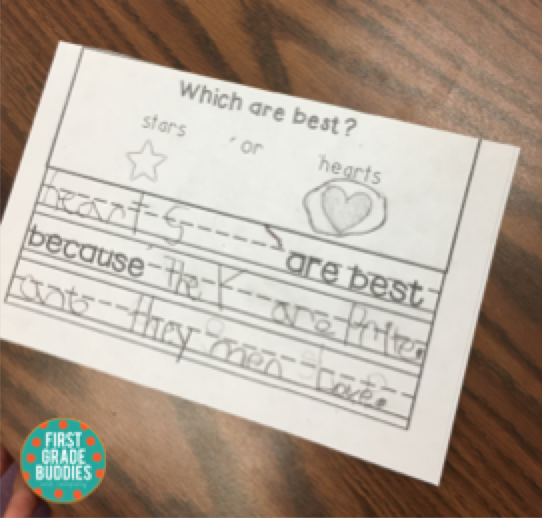 This anchor chart contains a Language Frame for students to write their opinion. The frame guides them in what to write or say. We keep it up during the entire unit. Another way we like to practice opinions is with nonfiction books that provide information about a topic / topics. 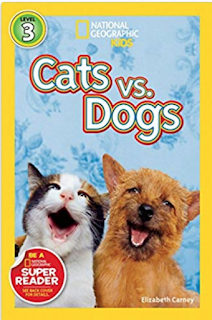 We try not to assume students will be able to generate reasons without background knowledge...even when it is a easy topic such as Cats or Dogs. We find without substantial background knowledge, students write reasons that are not specific or focused. One way to do this is to read a book about the topic and then brainstorm facts that were learned in the two categories. They can use this list when forming their opinion. Using picture books is a fun way to practice writing about opinions. 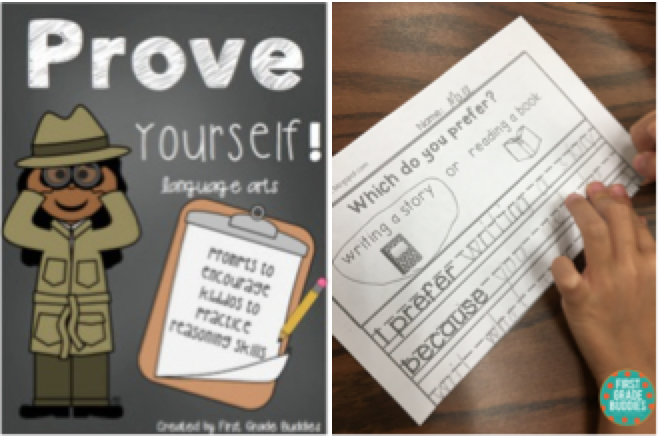 For each of the picture books above, we have an Opinion Writing prompt / activity (FREE HERE). We always get a good smile when we read them. First graders usually come up with some pretty creative ideas. 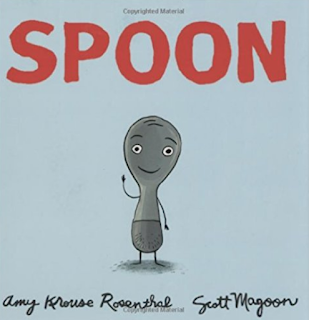 In the book Spoon, the main character "Spoon," feels like he isn't as special as the other silverware. After reading Spoon aloud, students decide which piece of silverware (spoon, fork, knife, or chopsticks) would be the best and why. 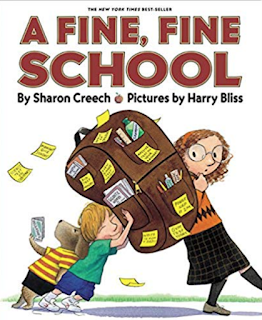 In the book A Fine, Fine School, the principal decides that school is so great that he adds more school time - weekends, holidays, etc! 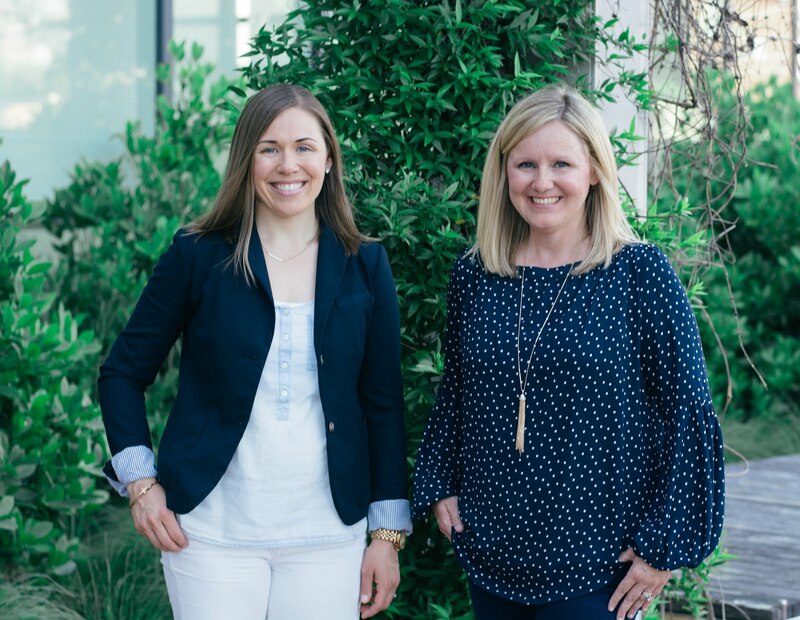 After reading A Fine, Fine School, students decide what the principal should do: keep the extra school hours or go back to the regular school day and why. 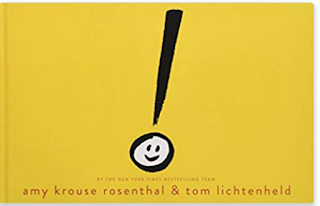 In the book, Exclamation Mark, the main character "Exclamation Mark," feels like he isn't as special as the other punctuation marks (A LOT like Spoon!). After reading Exclamation Mark, students decide which punctuation mark they'd want to be the best (period, question mark, or exclamation mark) and why. 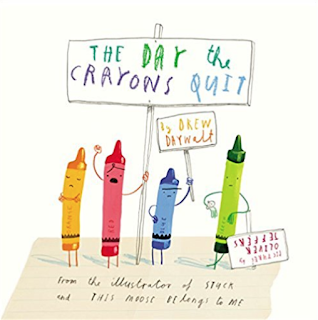 In the book, The Day the Crayons Quit, one crayon feels like he is not used near as much as all the other crayons. After reading The Day the Crayons Quit, students decide which crayon color is best and why. 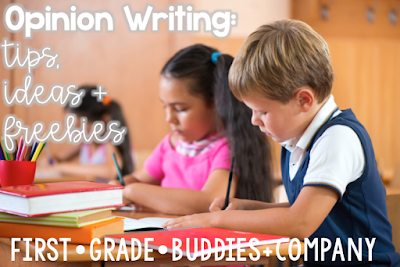 If you'd like to try these Opinion Writing prompts talked above above, click HERE! They're free and our students have loved them year after year! 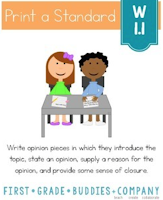 Another favorite tool in our classrooms during our Opinion Writing unit is our Print a Standard packs for W K.1 and W 1.1. These packs include opportunities for students to analyze opinion writing pieces, think about what the opinion might be based on character traits or scenarios given, edit opinion writing pieces, and read opinion pieces. 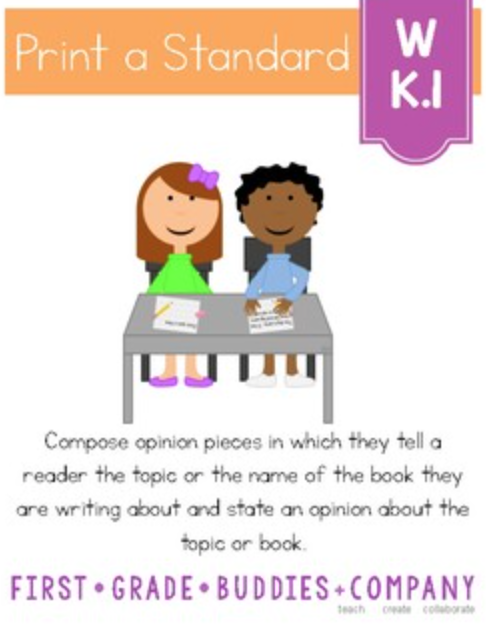 These packs do not include opinion writing prompts so they are a great change from the usual writing activities. They can be used whole group, small group, for assessments, homework, etc. We hope this post helped you grab ideas for Opinion Writing that you can implement easily in your classroom! GReat ideas! Thanks so very much!